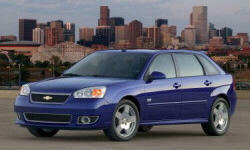 Why the 2007 Chevrolet Malibu? Gets about 26-27mpg in real-world driving - city commute of ~10mi one way. Great fuel economy for a bigger car. I'm 6'5" and my wife is 5'0" - we can both drive this car comfortably. This thing was CHEAP, and the insurance rate is also inexpensive. Great value for your dollar. Why Not the 2007 Chevrolet Malibu? The 2.2L 4cyl engine, while great for gas mileage, is underpowered for such a large car. It's fine once I'm at cruising speed; however, I wish it worked a little better accelerating. The Malibu drives like a boat. All American sedans "float" a bit, but I find the wallowing to be annoying in this car, particularly when compared to the nimbleness in the smaller Delta cars (like the HHR or the Cobalt) with the same motor. 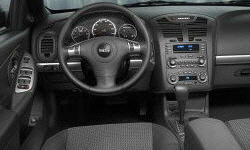 The interior is on an austerity plan, and the steering column makes click-thunk noises (a common issue on these cars). Also, the door locks failed (warranty issue...also common). Good car for the money, but definitely a commodity item - nothing exciting.